New Digital Platinum Series.New User friendly digital controls with built in battery monitor. Interior LED Light. Despite this model’s large capacity it is still light enough to carry. New Digital Platinum Series. New User friendly digital controls with built in battery monitor. 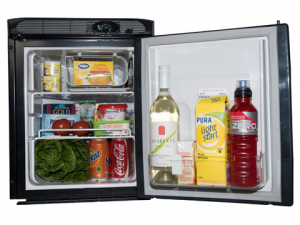 This is a portable fridge-freezer with the convenience of separate fridge (32 litre) and freezer (25 litre) compartments. 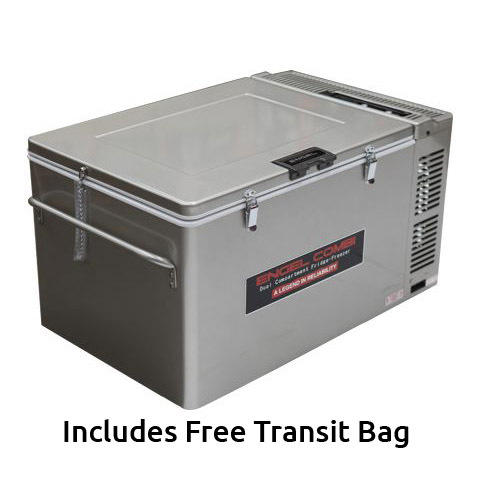 The thermostatically controlled fan provides cool air from the freezer section to maintain accurate refrigerator temperatures. 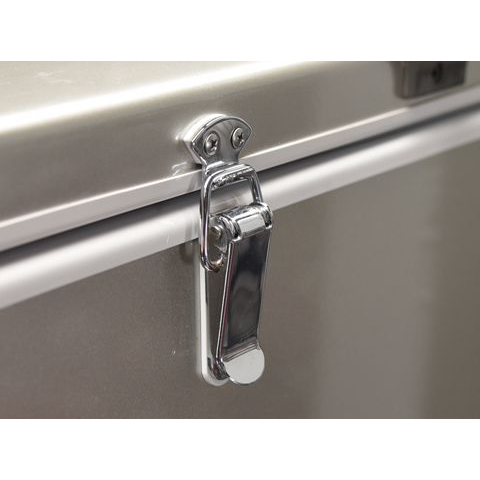 Once again, Steel cabinet, Steel lid and Steel handles that can be used as tie down points. 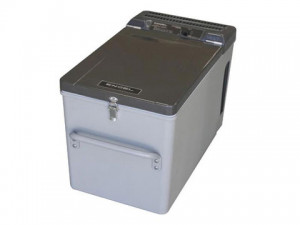 Supplied with both 12 volt and 240 volt cords with auto switching as standard. Replacement Cords: 12 Volt cord part # JCORD, 240 Volt cord part # KCORD. 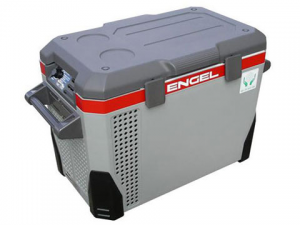 Unique to Engel this purpose built compressor is designed to be a portable refrigeration compressor and is one of the key reasons why ENGEL is ‘A LEGEND IN RELIABILITY’. What is the first rule in engineering? Keep it simple! The Sawafuji Swing Motor is a true reciprocating compressor; it has only one moving part. It doesn’t get any simpler. The piston is connected to an electro dynamic device which is powered by the use of magnetic fields. With this technology there is no need for bearings, cranks or con-rods, so less moving parts means less chance of failure. With only one moving part there is a very low friction loss which means this is a highly efficient compressor. It has no high start up current draw because when it starts up it can simply move down just a fraction then return. Then it slowly increases the distance the piston travels each stroke until it reaches a full stroke. The Sawafuji Swing Motor does not need to perform a full stroke on start up unlike many rotary type compressors that must perform a complete cycle and need much more current to start. 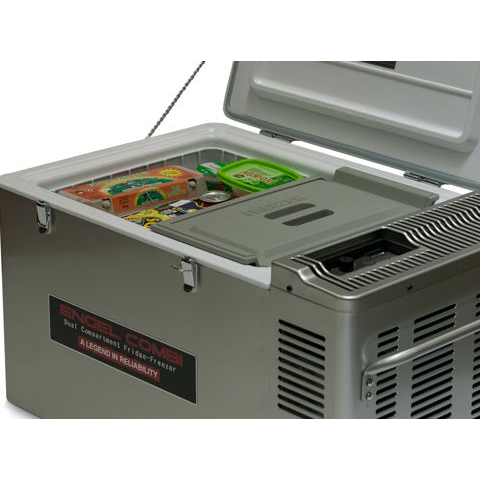 Because this is purpose built and designed to be a portable refrigerator compressor it has to be engineered to take the harshest of Australian conditions. The Sawafuji Swing Motor is located inside the compressor casing with pins locating in rubber bushes then suspended in between shock absorbent springs. 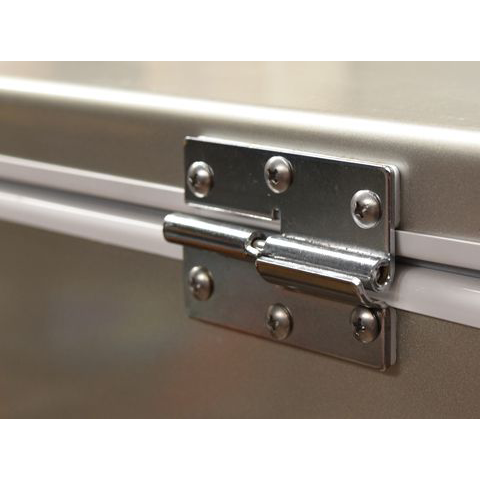 It operates at 30 degrees angles and on rough corrugated tracks without losing efficiency. 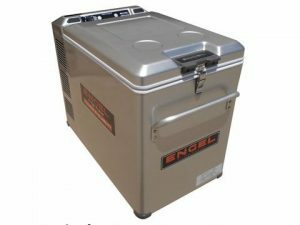 The leading brand for over 40 Years, only ENGEL portable fridge-freezers guarantee to go anywhere. Their reputation speaks for itself. 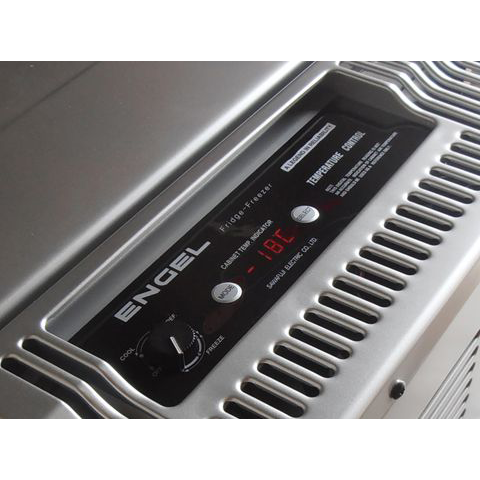 ENGEL’s commitment to continuous improvement means that the ENGEL of today is the most reliable, the most efficient ever, quieter and full of features to ensure it is easier to use than ever before.